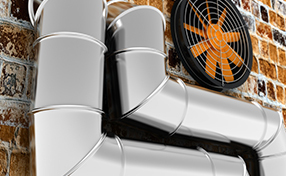 Want to make sure your query about air duct is answered? Are steam cleaners used for air duct cleaning? No, they are not. The professionals from our air duct cleaning company in Sun Valley explain that the moisture left after the steam can cause mold and serious damage. The dirt is effectively removed with the use of other techniques which do not involve water in any form. 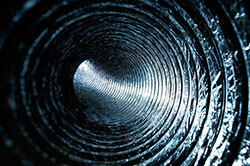 Do dirty air ducts pose health threats? Yes, they do. Dust, dirt, pollen and mold on the walls are easily carried into the rooms by the air passing through the ducts. These are powerful allergens. They can cause other diseases in addition to allergies and worsen the symptoms of respiratory conditions. HVAC maintenance is absolutely necessary. In fact, the more you use the system, the more frequently HVAC unit cleaning and inspections will be needed. Clean and repaired units will keep the system functional and efficient. 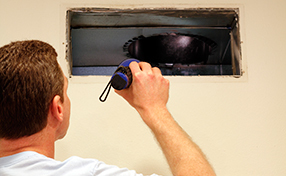 For better results do air duct repair. You will be saving energy and, thus, money. Damaged air ducts allow air loss.